Feller Bunchers are used in logging for harvesting; they often consist of a heavy base, where the operator sits with either a type of saw, or, as you can see in this image, a shear. This shear encompasses the tree and acts like a giant pincher. Feller Bunchers take care of the harvesting, but what comes next? A vehicle with carrying capabilities. Forwarders are trailers designed to be hooked up to John Deere tractors which can generally cover most terrain. 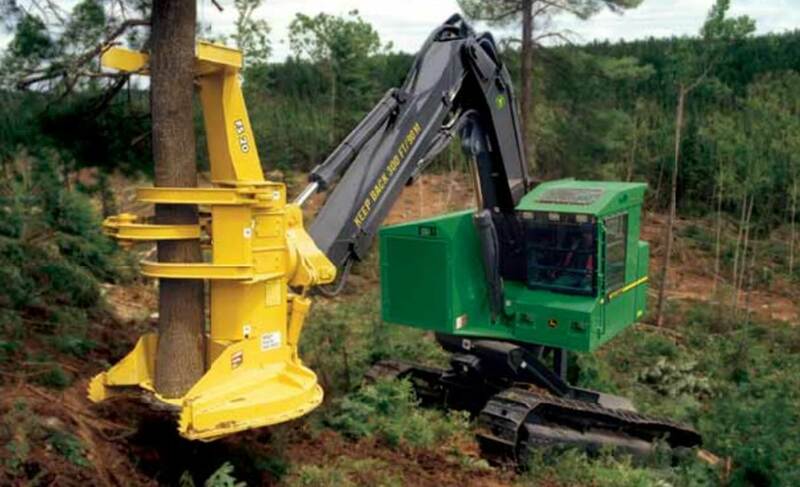 Next in the line of John Deere forestry machines is the harvester which has a typical heavy machine base and an attached arm used for grabbing and clear cutting areas. Sometimes harvesters are even used in conjunction with forwarders and serve as the larger tractor attached to the trailer. The arm that is on the harvester acts as a delivery mechanism in this situation. 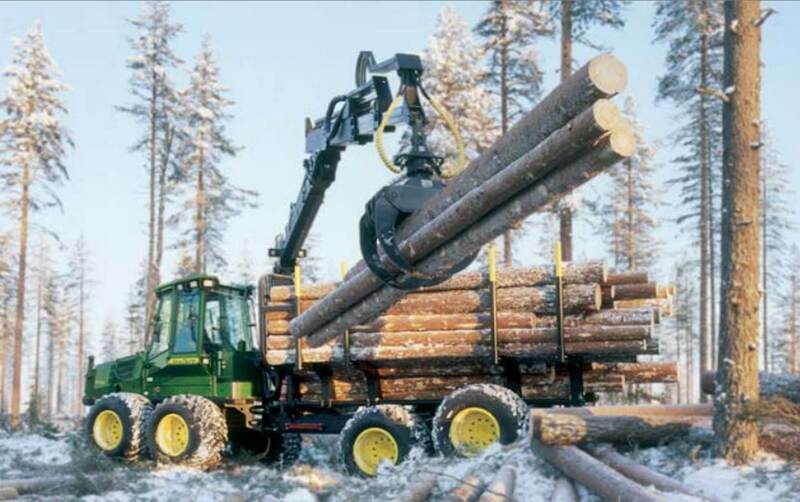 A log loader is yet another machine to help load up a trailer with logs. The knuckleboom excels in many more ways than just this, however. It features a larger 90 gallon fuel tank, a load sensing hydraulic system that reduces fuel consumption, and a dedicated swing circuit that improves productive delimbing and loading. 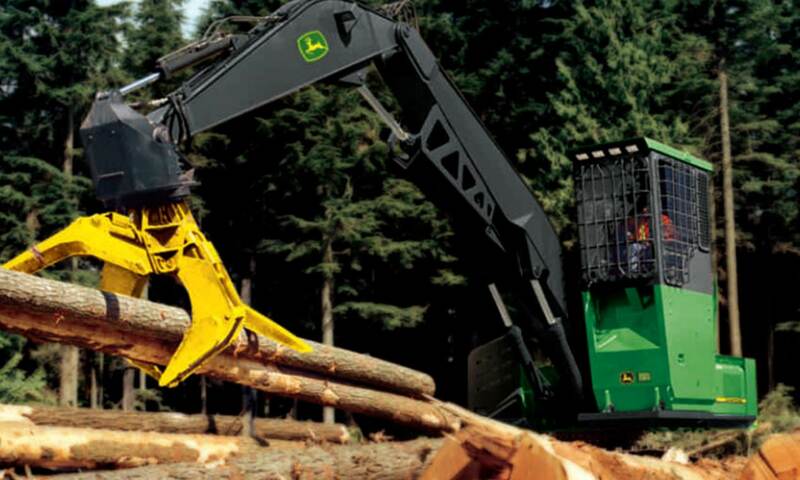 Skidders remove trees from the forest and transport them to a clearing in a process called “skidding.” John Deere offers a wide selection of skidders as well as engines, transmissions, axles, grapples, winches, and cabs. 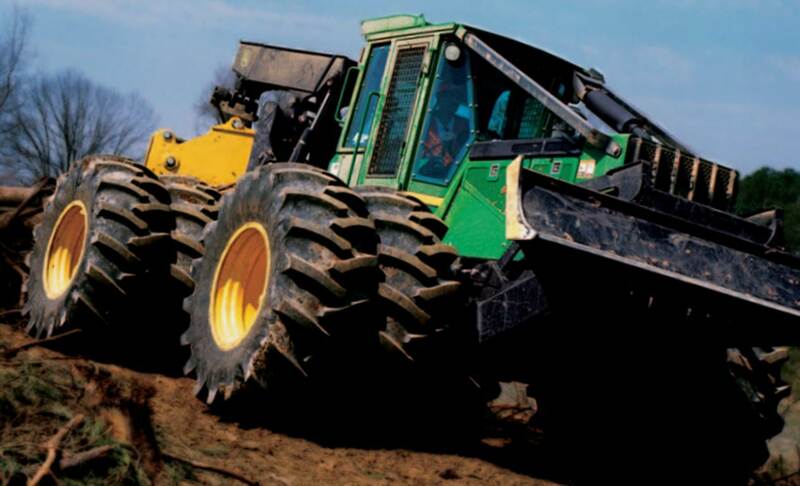 With this many options, it’s possible to build a skidder that best suits a farmer’s individual needs. Though swing machines look very similar to excavators, their purpose is actually quite different. 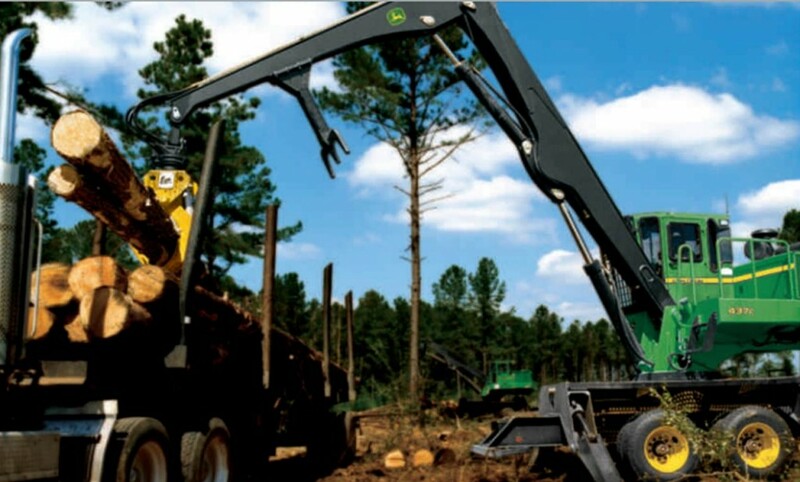 Swing machines are used as roadbuilders, shovel loggers, harvester/processors, stroke delimbers, or log loaders, making them truly multi-purpose vehicles. 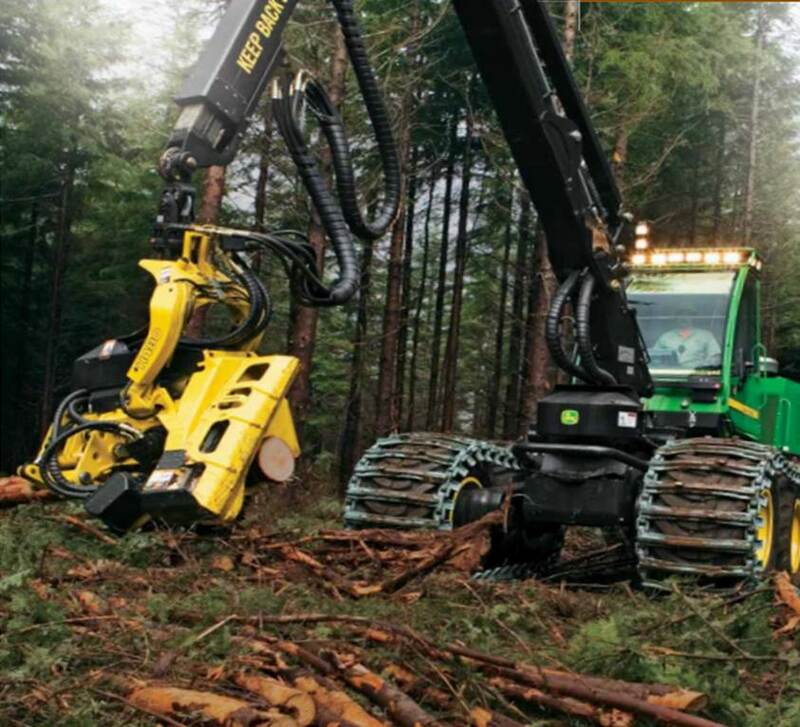 As you can see, John Deere offers more than lawn and garden and farming equipment; in fact, John Deere offers a wealth of forestry machines. We hope you enjoyed some of the logging action seen here!